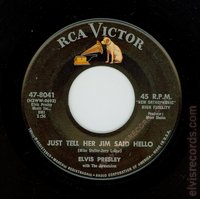 Disc: (7/1963) Black label, dog on top. 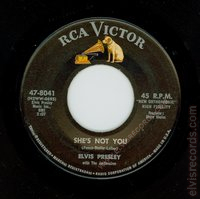 45 RPM on two lines. 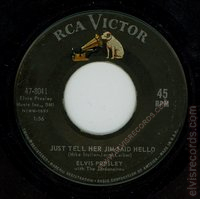 On the JUST TELL HER JIM SAID HELLO side, no Producer Steve Sholes. Disc: (7/1963) Black label, dog on top. 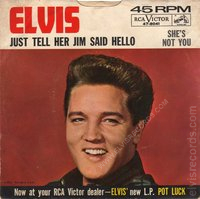 45 RPM on two lines. 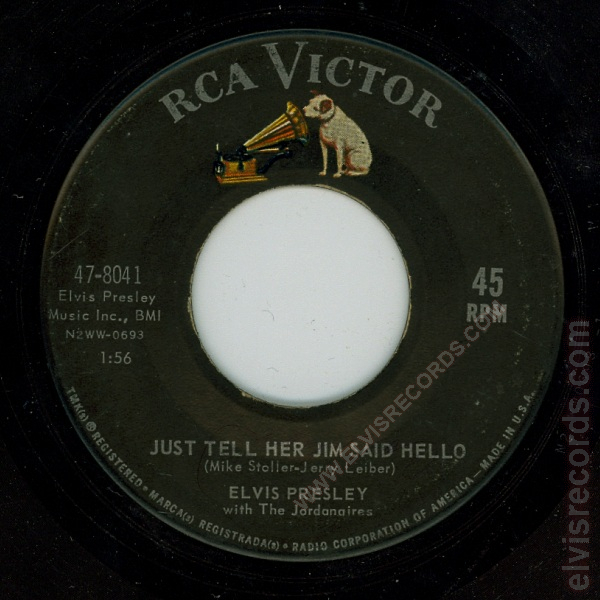 Disc: (7/1963) Black label, dog on top. 45 R.P.M. and New Orthophonic High Fidelity on right side. 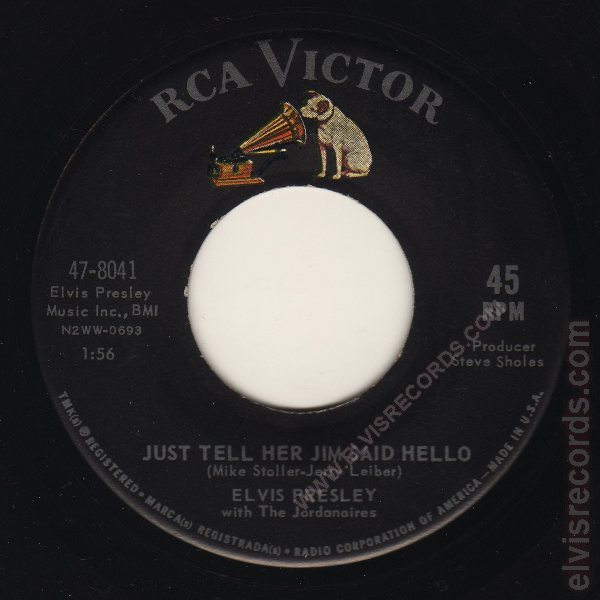 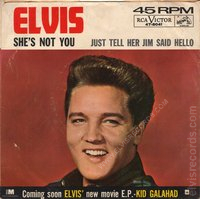 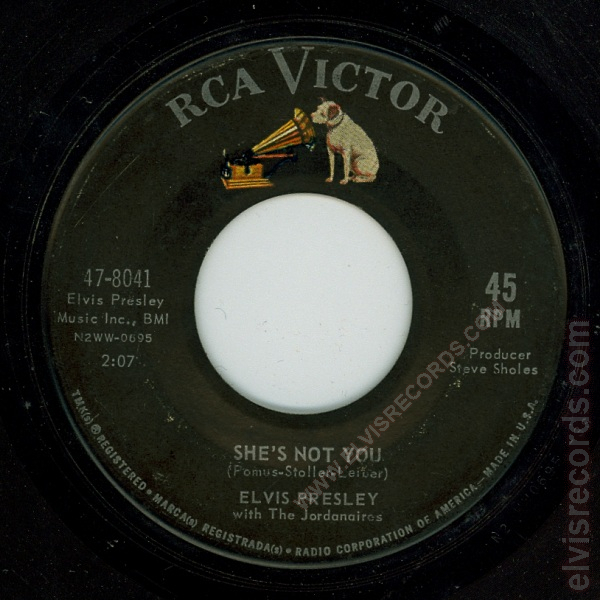 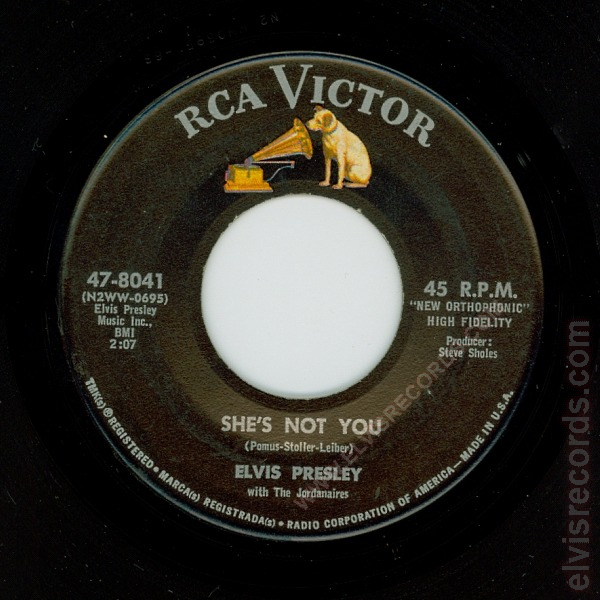 Re-released by RCA Records on 45 RPM as She's Not You / Just Tell Her Jim Said Hello on the Gold Standard Series label.